« Yoga with Carrie is back this week! The Athol Recreation Centre Committee will be participating this fall in the FOOD to SHARE initiative started by our Chair, Glen Wallis. Food to Share was begun this year, 2015, with an Awesome PEC grant of $1,000. The initiative attempts to bring attention to the fact that Prince Edward County ranks second for food insecurity in Ontario. The concept is simple, take the bounty that is grown in what used to be the canning capital of Canada and produce prepared food that can be distributed through the food banks and other groups. The fresh produce would come from individuals who have gardens, farmers who have pledged to grow for the cause and local farms stands that have to much of a particular vegetable. The new Fresh for All initiative, which encourages people to grow an additional rows of vegetables for food banks and similar groups, would be a source of some additional food as well. The fresh food would be collected for the cooking days that would be held at the different ward recreation hall kitchens and Church kitchens throughout the County. Some food would be received before the cooking days and would be cleaned, prepared and frozen for use on the cooking days. Volunteers would be used to collect the food used and take it to the central walk in freezer facility. Ideally the majority of the food would be grown for harvest to coincide with the preparation days. Preparation days would be staggered between different venues so that the public would be able to choose a day to participate from a long list of dates. Food to Share is looking for as many donations and as much sponsorship as possible. These include printing services, greenhouses to provide seedlings, seed suppliers, growers and farm stand owners, walk in freezer space, web designers, and restaurants and cafés willing to donate storage containers and provide recipes and food science knowledge. Would you like to help? We need people to help grow, collect and cook the food we will be producing. Contact Glen for more information at foodtosharepec@gmail.com. 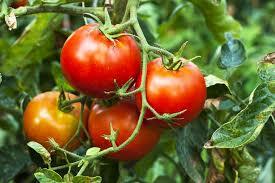 Note: This Thursday September 17th we are looking for volunteers to help pick tomatoes in Ameliasburgh. Can you help? Contact Glen directly at the email address above.